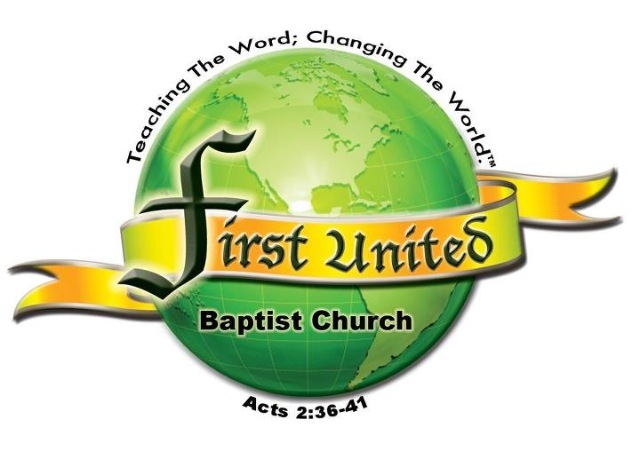 The Lord has blessed First United Baptist Church with a wonderful vision which is, "Teaching The Word, Changing The World", based on Acts 2:36-41. We firmly believe that God will make a mighty move in the lives of His children that seek to establish a real relationship with Him based on direction from His word. According to Isaiah 55:11, God's word will not go out and return void, but will accomplish what He sent it to do. When disciples are thoroughly equipped with the word, they will begin to represent His words of love, joy, health, wealth, peace, restoration, and forgiveness that are being manifested in their lives. Change will be evident as people begin to observe the fruit we are bearing and they will come crying, "What must I do to be saved?" As God's church continues to grow by operating on His Kingdom Principles, we will begin to punch holes in the darkness and allow His light to guide those still trapped in darkness into His marvelous light. When we teach the word, we will change the world by changing the lives of people regardless of their e respected based on their new fellowship with Him.